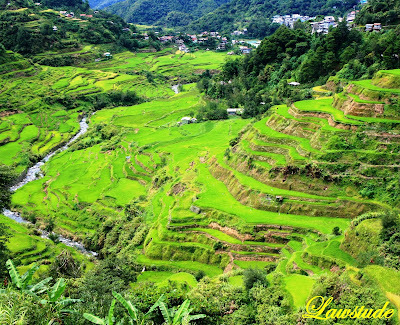 Hailed as the 8th Wonder of the World, the Banaue Rice Terraces showcase a truly mesmerizing display. These mus-walled rice terraces is North Luzon's most famous sight and has a pleasing, organic quality that differentiate the place from stone-walled terraces in most of the Cordillera. 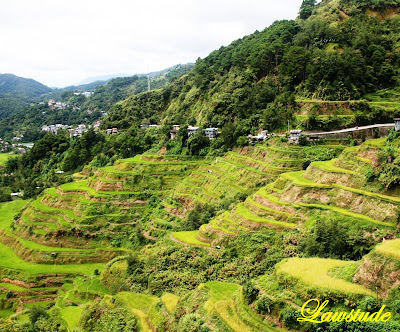 World Heritage-listed, the Banaue Rice Terraces are impressive not only for their chiseled beauty but because they were created around two thousand years ago. The rice terraces were built by the Ifugao. 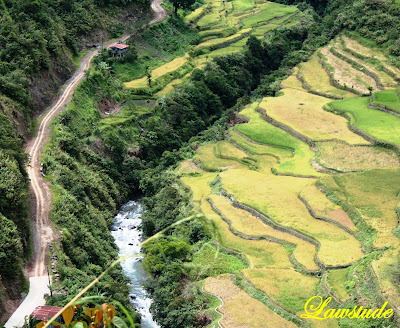 Along with being the most feared head-hunters in Cordillera, they were skilled engineers who invented a sophisticated irrigation system of bamboo tubes and elaborate mud channels to bring water to the terraces. What's sad however is that some of the terraces are nearing deterioration because of the occurrence of calamities such as earthquakes and storms. Some farmers even opt not to continue farming because of the high costs farm goods as well as high-cost of eradicating pests such as worms and other bugs. Aesthetically, there are even some houses made of galvanized sheets and cement which encroach on the rice terraces making them an eyesore. 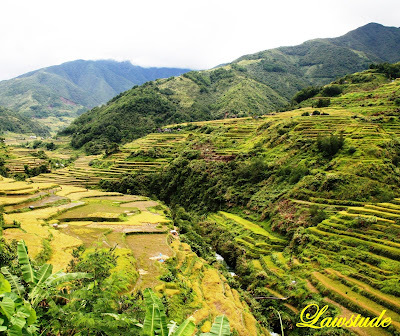 While Banaue remains the center of the rich Ifugao culture, tourism undoubtedly shapes the town. A paved road from the lowlands ensures that thousands of tourists visit the place each year. There are numerous guides, drivers and hawkers around the area so the best option really is to ask the well-staffed Banaue Tourist Information Center in the town center. It's worth to note that besides Banaue, there are four other Ifugao rice terraces that are included on the UNESCO World Heritage list. These are Batad, Mayoyao, Hapao and Kiangan. I am fortunate enough to trek in the terraces of two of the mentioned places and I will share pics and personal experiences on these places on my up-coming posts. Puro pang postcard itong mga shots mo... By the way, I voted for you to go to Camiguin (my favorite province) next. Government has to impose rules to maintain this heritage. Puro indigenous-type houses lang dapat ang i-allow i-construct. wow naman! syeters na fog talaga yun. ganito pala kaganda pag kitang kita. malas talaga namin nung nagpunta kami jan. puro fog talaga. ito ang target kong lugar na puntahan dahil hinde pa ako nakakarating dito. i hope i get to go there when i visit the phils at the end of the year. WOW! I've already heard of rice terraces, and I've seen some small ones in Bali, but these are absolutely fantastic!! astig! galign talaga ng mga kuha mo dyan. timing din at green na green ang mga terraces. astig talaga at halos naikot mo na nga talaga yang area dyan. alam mo, pangarap kong makapunta dyan at maglalaro ako sa hagdan... parang ang sarap magmuni muni lang dyan..
@ kegler747 - salamat carlo. maganda lang talaga ang place. i like to go to camiguin and hopefully if some of my scheds would clear, i'll go there this year. @ r-yo - i agree panyero 110%. @ the islander - there is always next time. ilibot kita luzon pero ilibot mo ko mindanao? lols. 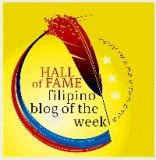 @ madbong - ang daming blogger na gusto marating to. dapat pala mag schedule tayo para masaya. 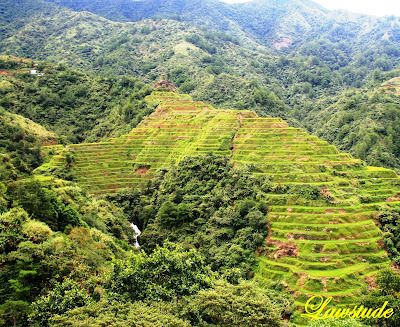 @ gmg - nothing compares to the rice terraces of ifugao. you gotta be there to really enjoy its grand beauty. @ the dong - yeah. ang di ko na lang napupuntahan na gusto ko marating ay sagada at cagayan. @ tentay - mahirap maglaro sa hagdan kasi makipot lang ang mga trails pero napakapeaceful nga at masarapmagmuni-muni. ako kasi nagdarasal ako noon eh at dinadasal ko eh wag sana ako mahulog sa rice terraces lols. Wow, these are awesome shots. Interesting post. ang ganda at ang lamig sa mata. great shots lawstude. 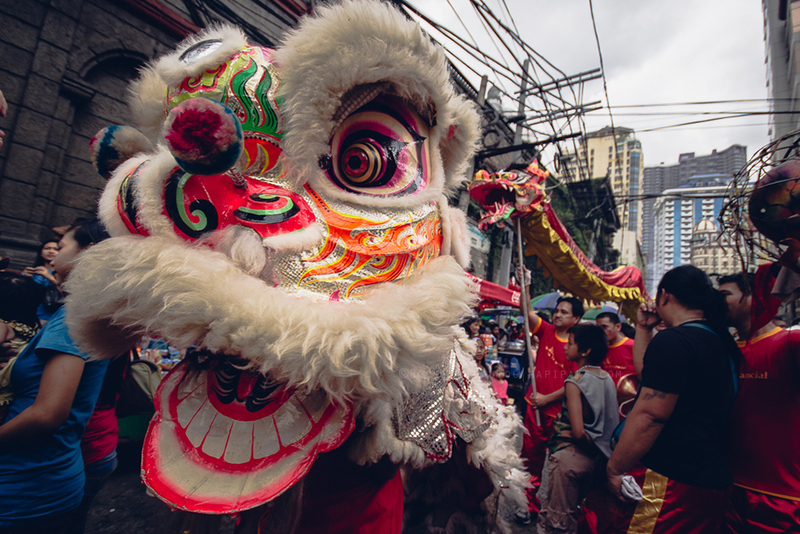 even the food served in the restaurants are geared to the tourist both local and foreign. In Batad, you can even order israeli cuisine and pancakes. How I broke a ritual taboo in Batad. hindi nakapagtataka kung kasama sya sa "wonders of the world". @ andrea - thanks. the rice terraces are indeed interesting. @ estan - the batad trek is definitely one of the longest and the hardest trek i have endured. i used to trek when i was younger but this almost 5 hour trek told me to better go back in shape. @ rio - thanks doc. green na green talaga. 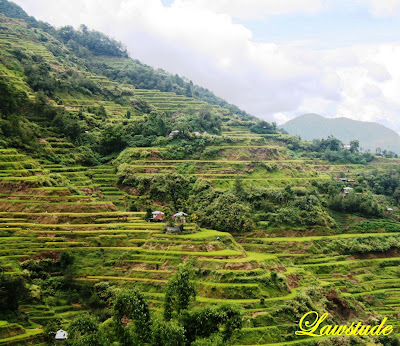 @ lambing - sayang naman kasi natakpan yung rice terraces ng ulap. dapat pala bumalik ka doon. @ nanaybelen - that's a nice way to put it, hagdan paakyat sa heaven. hi lawstude, just droppin' by. ang ganda ng mga kuha mo ng rice terraces. hindi pa ko nakakapunta dito. Those rice terraces are amazing. 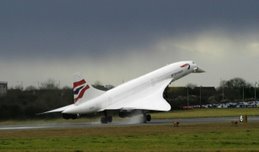 A tribute to the skill of those who made them and to nature! LS: Those are some great captured of a beautiful area of the country. wow, naglakwatsa ka na naman up north oman. grabe, i miss the cordilleras. it's gonna take a lot of political will and personal efforts to preserve these heritage sites. kamangha mangha talaga ang tanawin, yung rice terraces. thanks for sharing. now I envy you, bakit naman kc ang kapal nung fog d 2nd time I was there. The locals advised us not to go down bec its too dangerous, so we packed r things and travelled back na. I love ur post (dami ko nakukuha idea kung san dapat maglakwatsa...hihi)..
been there pero sa malayo lang just enjoying the view from a distance hehe dream ko makalapit at makalakad dyan ehehhehehe, one day soon. Wow so beautiful. Did you take from a plane? The rice terraces are so lovely and neat. We need to thanked the rice planters for the rice we eat but geez.... price of rice is rising by about 30% ...sigh. i remember in grade school, the first essay i was asked to write was about the Rice Terraces..and since then, my fascination grew..and ur pieces help re-live my marvel all the more.! i must be there, soon! haha. magandang idea. pero ano yan, actual o virtual? hehe. kaso parang mas may time ka kesa sakin. since april pa yung last out of town ko. that tall guy... was that you? anw, i noticed that batanes won your poll... 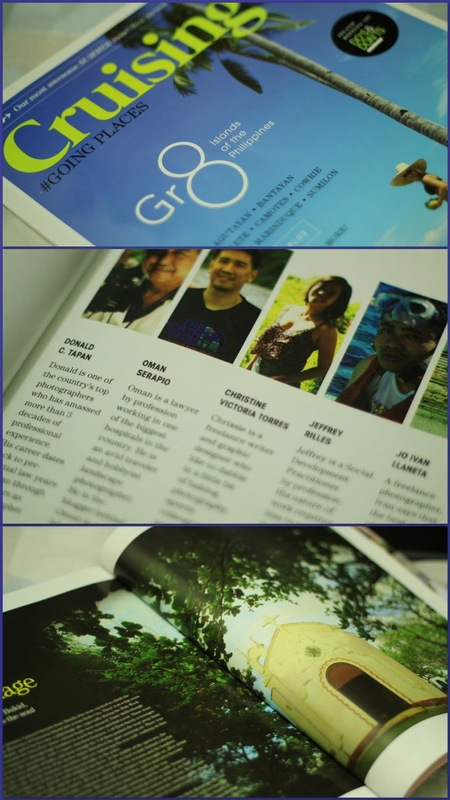 I cant wait to see Batanes in this site..
@ dailyphotographer - hello there, thanks for droppin' by. swerte lang kasi kahit ano kuha sa rice terraces lalabas na maganda. you should go there someday. it's about 7 hours from manila. @ quinttarantino - amazing indeed and they wer built 2000 years ago. @ aline - yup, medyo madulas kasi so trekking will be a problem. plus there will be fogs so visibility will also be a problem if it rains. @ fishing guy - thank you FG, glad to share my country with you. @ lagal[og] - oggie, there was a talk recently of privatization of the rice terraces kasi some of these really have deteriorated because of nature na rin. the guide i was with then however said that it is a far-fetched idea because of ownership issues. sana nga lang mapreserve nila yung place wether privatization prosper or not kasi the place really thrives on tourism. @ redlan - thanks also redlan. i appreciate. @ anonymous - although it's really best to go to the terraces, going to four view decks around town wasn't really a bad idea. although it can relly be quite foggy, the best view of the terraces happens really when the sun starts to set. @ alingbaby - nice id, reminded me of mang junior. anyways, welcome to my blog. ok naman sa viewdecks kasi you could see the terraces magnifecently. iba lang talaga yung trekking 'coz it will give u a different high. @ ash - thanks ash, the place is just so picturesque. @ alicesg - nope, i m not on a plane. 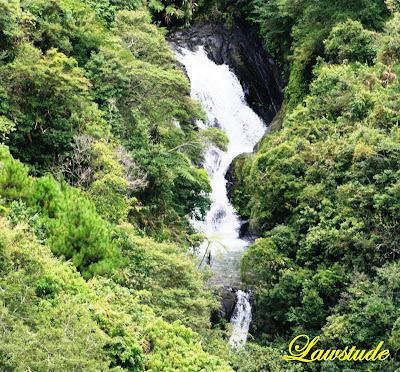 i took these pics from a view deck which is one of the highest place in ifugao. i see that rice prices in singapore also escalated. seems like a regional problem. 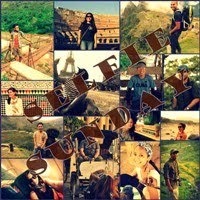 @ josh of arabia - thanks josh and i am glad that i have awaken your interest about the place. such a beautiful place... really! @ the islander - syempre mas maganda actual. seryoso ako pag nalibot ko na buong luzon at visayas yung mindanao naman lilibutin ko. among the places i wanna travel to there are the zamboanga peninsula, camiguin and siargao. 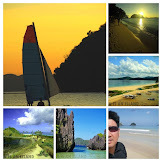 @ dakilang islander - its definitely the most famous place in north luzon. cge punta ka ako guide mo. @ kris jasper van dyke - yup. although i am not that tall, the natives i am with in the pics are just tad short. batanes... i really wanna go there, and i hope to be there in summer of 09. Magnificent place! I wish I still have the energy to make another trek to Batad. Banaue; I've always wanted to visit the rice terraces but the chance isn't here yet. One day I will. I'm totally fascinated w/the nature and its terraces. Rice; the source of energy in our lives! @ bw - thanks. one of the best places to visit when you go back here in Pinas. @ luna miranda - i know what you mean. i'll never trek/hike batad again in the near future. @ kyels - i couldn't agree more. philippines and malaysia are really rice consuming countries. the terraces are just fascinating and i am sure you will have a great (and tiring) time there.